Comic books can be intimidating. The easy solution to learning to love comics is quite clearly “read some,” but it can be a challenge to know where to start. The first time I walked into a comic book shop, I walked out with a “Flash” issue that tied into an event I knew nothing about, and focused exclusively on a Flash rogue (Boomerang) without hardly any mention of the hero. It was weird, and confusing, and I never went back to that store! Comic books certainly don’t have to be this way, though, and after several years of learning to love what I consider my favorite artistic medium in all of storytelling, I have some tips and pointers that can hopefully help. Without further ado, here’s how to start with comic books for new readers. Most comic books begin as single issues that most closely resemble a magazine. You can find these issues in comic book shops (and you can find your LCS – local comic shop – using comicstorelocator.com). Comic book publishers will release new issues to shops every Wednesday (new comic book day). So, for example, a publisher like Marvel (one of the Big 2 superhero comics publishers alongside DC), might release Amazing Spider-Man #1 on October 7th. This is the first issue in the series, and is a great time to start collecting Amazing Spider-Man. If you read the issue and enjoy it, you can tell an employee at your LCS to “add it to your pull list.” A pull list is all the comics you want your comic shop to order and prepare for you each week they are released. So if you add the series Amazing Spider-Man, when you return to your comic shop on November 7th, they will have Amazing Spider-Man #2 ready for you at checkout. You just walk up to the cashier and say “I have a pull list for [Your Name Here].” Replace [Your Name Here] with [Your Name Here]. Most comic book series are published once a month, although some are published every two weeks. You can use a site like ComicsList to see what comics will be available when. Return to the comic book shop the weeks your books are released, and prepare to spend $2.99 to $4.99 per issue. Enjoy the heck out of comics every week! When you start getting into comics, you’ll see the following terms used to signify what is ultimately a single story, or chapter in a larger story: Trade Paperbacks (TPBs), collected editions, or simply trades. Instead of purchasing single print issues (per option number one), many comic book readers will “wait for the trade,” and collect fully formed stories in softcover or hardcover collections. More often than not, a trade paperback will contain five or more issues, and will be released approximately 3 to 4 months after single issues are published. Trades for single stories tend to range from $9.99 to $14.99. Your options for purchasing comics via trade are greatly expanded. In addition to your local comic shop, you can find trades everywhere from Amazon to Barnes & Noble to your local library. You can see an example of a trade paperback for Amazing Spider-Man here. The proliferation of digital reading options has made getting comic books significantly easier than it’s ever been before. While there’s always an argument to be made for the value of that sweet, sweet paper in your hands, the ease of downloading comic book stories directly to your tablet or phone is fantastically convenient. Most new readers are going to find their digital comics fix at Comixology, which is now owned by Amazon (offering easy digital comics access via Kindle devices). For “All You Can Eat” comic book subscription services akin to Netflix or Spotify, there’s a variety of options that I explain below. Price for digital subscriptions ranges from $9.99 per month to totally free with a library card in the case of Hoopla Digital. Ok, you have a pretty good feel for your comic book reading options, now you just need some direction on what to start reading. The below comics are the books I selected for an About.com piece on the 10 best comics to hand to a friend who has never read a comic. These are true comics for beginners, trying to sell new readers on the awesome might of comic books! Matt Fraction and David Aja’s Marvel Comics masterpiece is well worth the brief moment of wondering whether Hawkeye could truly have one of the best comics for new readers. The 2012 Hawkeye series is brilliant, fun, and largely avoids complicated continuity questions present in most Marvel comics. All of this makes it a great pick-up for new fans who want to see Marvel at its best. Rat Queens is a wonderfully foul-mouthed spin on sword and sorcery, taking the standard Tolkein fantasy realm and invigorating the story with a bad@$$ gang of girls who punch first, and talk later. Note that this Image Comics series is most assuredly for mature readers only! There are all sorts of Batman comics I would recommend to new readers, such as New 52 Batman , Dark Knight Returns , or any of the many selections in Comic Book Herald’s Batman reading order. For brand new comic fans, though, I’d point you to DC’s all-ages Gotham Academy, which sets the boarding school ethos of Harry Potter novels inside the universe of Gotham’s Dark Knight. Kamala Khan, Marvel’s Ms. Marvel since 2014, restores the high school drama, romance, and heroism of the best 1960’s Spider-Man comics. While I’d recommend any serious Marvel comic reader explore the 60’s Amazing Spider-Man work of creators Steve Ditko and Stan Lee, those comics are clearly of an era over 60 years removed. Ms. Marvel is far more modern, and represents one of the Big 2 (Marvel and DC) superhero publisher’s most diverse comics. Best of all, creators G. Willow Wilson and Adrian Alphona have made Ms. Marvel one of the best Marvel comics since its inception, and a great starting place for new comic book fans. Saga is the romantic comedy space opera (classic genre!) from creators Brian K. Vaughn (Y: The Last Man , The Private Eye) and Fiona Staples. Saga manages to feel innovative and fresh, infusing modern sarcasm and eye-opening world-building into the well-worn cluster of Space stories. More than anything, Saga feels like a story for “adults,” and this Image Comics series is definitely for mature readers only. If you’ve long held the suspicion that comics are junk media for kids, Saga is the type of sophisticated yet fun adventure that can go a long way towards changing minds. B) The Best Comic Books Of All Time! Another option that can work for many new readers is to work your way through the canonical best comics ever. This is definitely the approach I’ve taken with classic rock, hip-hop, and literature (without pictures… shudders), and it’s fun to explore the best of the best over the ages. Fortunately, I have just such a list, with an ever-expanding guide to the absolute best comic books in history. Every time I read a new comic, graphic novel, or entire series, I add it to my guide! To get you started here are the top 10 favorites from my list, with notes about the types of readers that might enjoy! Alan Moore and Dave Gibbon’s classic deconstruction of superheroes has been voted one of Time’s 100 best novels (not just graphic novels – novels) and is a feature length film from director Zack Snyder. This comic series convinced me comic books could be intellectually rewarding and inventive, and is for mature readers. Neil Gaiman is the author of many celebrated comics and fiction, including American Gods and Coraline . The Sandman is his comic book masterpiece, celebrating a love of stories while covering endlessly cerebral territory. Bone is a remarkable all-ages fantasy adventure from writer/artist Jeff Smith. While Bone can take some darker more frightening turns, it remains a great comic book read for younger and older readers alike. While I love Morrison and Case’s early 90’s DC / Vertigo Doom Patrol, I’ll also be the first to admit I love it largely because of how insanely weird it can get. This is the least straightforward “superhero” comic I’ve ever read, but if you’re interested in some absolute imaginative insanity, Doom Patrol is the book for you. For mature readers only. Miracleman is another 1980’s superhero deconstruction from Alan Moore, the best comic book writer of all time. 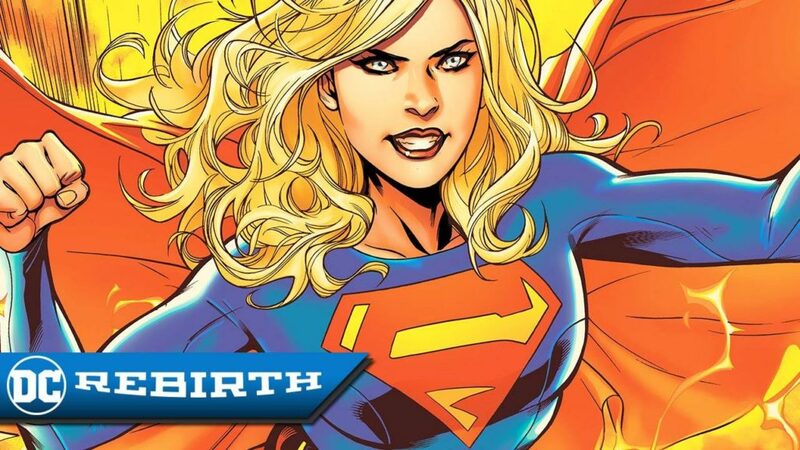 See the Superman and Captain Marvel mythos elevated to a more “realistic” form. For mature readers only. If you like the concept of stories within stories, or fiction coming to life and effecting our real world, Bulletproof Coffin is a modern Image Comics masterpiece from David Hane and artist Shaky Kane. For mature readers. Matt Kindt’s Mind MGMT from Dark Horse comics is another modern masterpiece, both one of the best spy / secret organization stories I’ve ever read, and one of the most innovative comics ever. Highly recommended reading, and for a PG-13 audience. Maus is Art Spiegelman’s biographical account of his family’s surviving the Holocaust, as well as his autobiographical account of his relationship with said family. It’s a harrowing, real look at the devastating tragedy of the Holocaust, told with superb skill. Very serious subject matter, but I’ve seen this used as text at the junior high reading level. 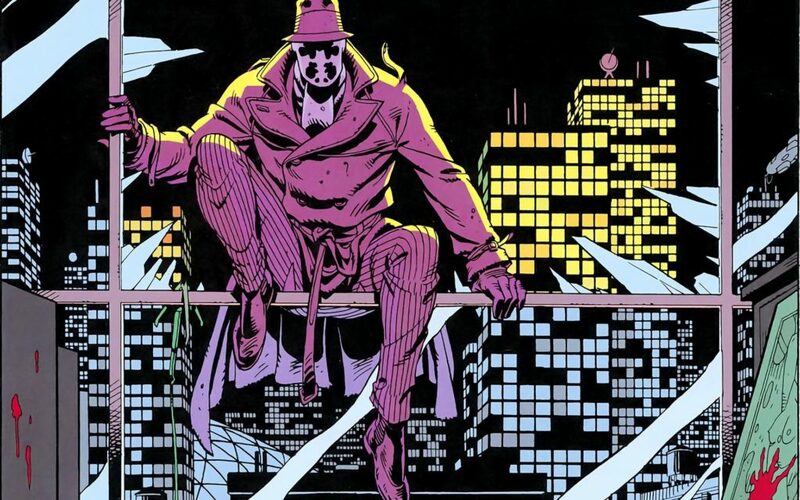 Frank Miller’s mid 80’s re-imagining of an aged Batman coming out of retirement sets up years of the macho, grim and gritty Batman we know today. There’s also surprising humor and inspiration here, in my favorite Batman comic for new readers. “Y” is an epic, 60+ issue Vertigo comics series from the early 2000’s by comic book masters Brian K. Vaughn and artist Pia Guerra. As the title implies, “Y” explores the life of the last man on earth, in a world of all women. There are a wide variety of publishers across the comic book landscape, and the most popular among them form relatively clear guides on where to start with comics. For example, DC Comics is home to the DC Universe of characters like Superman, Batman, and Wonder Woman, while Marvel Comics is home to characters like Spider-Man, Captain America, and Squirrel Girl. DC and Marvel are known as the “The Big 2” in the comics industry, and own the most well known superhero universes that are now reflected in some of the most popular movies every year. Other comic book publishers like Image Comics and Dark Horse are less reliant on shared superhero universes, instead focusing on fostering the vision of unique creative talent. 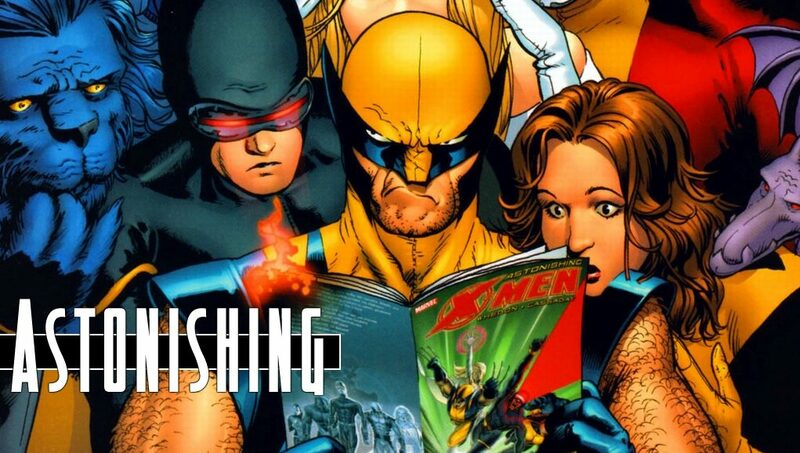 Below you’ll find guides to the most commonly discussed comic book publishers, as well as suggestions and resources for how to start reading. The DC Universe fully rebooted during the summer of 2016 with a linewide initiative titled DC Rebirth. This Rebirth sparked new #1 issues and jumping on points for all DC comics, from Superman to Blue Beetle. Of course, you could also dive into DC with comic book storylines of the past, from DC classics to the essential stories from the 2000’s. Below you’ll find Comic Book Herald’s resources for getting started with the DC Comics universe. More DC Events & Character Reading Guides! Much of Comic Book Herald is dedicated to helping new, lapsed, or ongoing comics fans enjoy Marvel Comics in a chronological order. You’ll find these resources below, but the easiest path is going to be starting with Comic Book Herald’s complete Marvel reading order. In general terms, Marvel has struggled to find a foothold since 2015’s Secret Wars mega event (My favorite Marvel event of the 2000’s). Far too many events have diminished their impact, and Marvel’s had a tough time committing to transitions between new legacy characters and their more familiar classic heroes. Fortunately, over 65 years of publication history means there’s plenty to read, whether you’re invested in the newest Marvel material, or want to enjoy the publisher’s greatest hits. 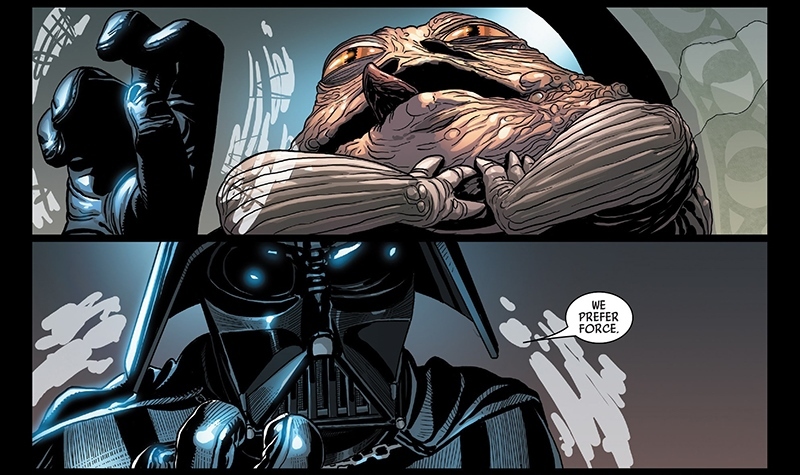 Star Wars fans have a couple options for diving into the vast world of Star Wars comics. Starting in 2015, Marvel Comics obtained the license to publish Star Wars books (Disney ownership has its perks), and rebooted the Star Wars comics line immediately following the events of A New Hope. This results in great jumping on points for a Star Wars comic series , alongside solo character series like Darth Vader and Han Solo . The Marvel Comics are largely the only stories considered Star Wars canon now. From the early 90’s through 2015, Star Wars comics came from Dark Horse, who put together a really strong expanded universe that greatly enhances the Star Wars galaxy. This includes series like Knights of the Old Republic and Legacy , as well as many, many others included in the resources below. Interested fans should also be made aware that the entirety of Star Wars comics are made available via the Marvel Unlimited digital comics app. Over the course of the 2000’s, Image has established itself as the bastion of creator-owned, critically acclaimed projects. 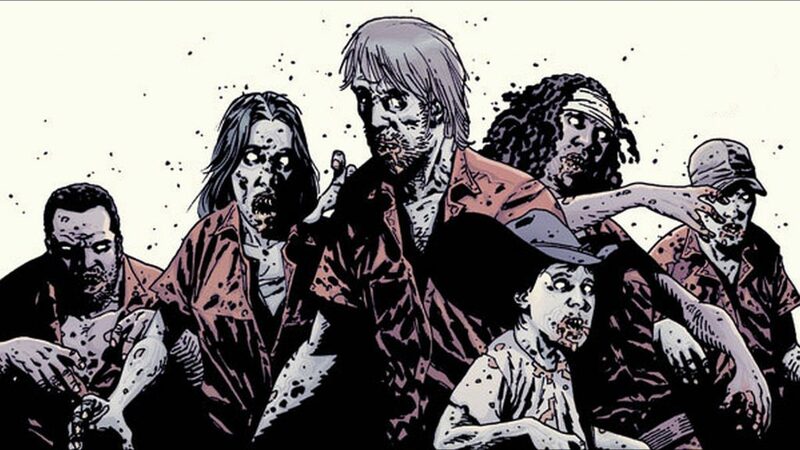 The most famous of these is the mega popular Walking Dead, which become the most watched show on television. Diving in to Image Comics is a great way for new readers to get started, as individual series are typically self-contained and don’t rely on the in-universe continuity of the major superhero publishers. Below you’ll find a detailed complete guide to the best Image Comics. Vertigo Comics is the mature readers imprint of DC Comics, and for most of the 1990’s and early 2000’s was the place to find critically acclaimed all-time great comics. The likes of Sandman, Preacher (now on AMC), and John Constantine, Hellblazer all come from Vertigo. Below you’ll find a comprehensive guide to every great Vertigo comic of all time! 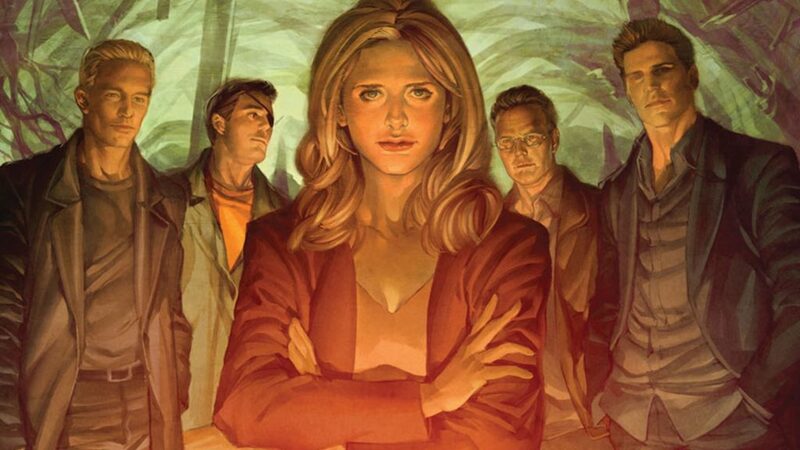 Dark Horse is a wonderfully consistent comic book publisher, with well known properties like Buffy the Vampire Slayer and Hellboy, in addition to video game comics adaptations like Mass Effect and Dragon Age. Below you’ll find a complete guide to all the best Dark Horse comics through the publisher’s storied history. Valiant is my favorite alternate superhero universe, modernizing many familiar superhero universe tropes. 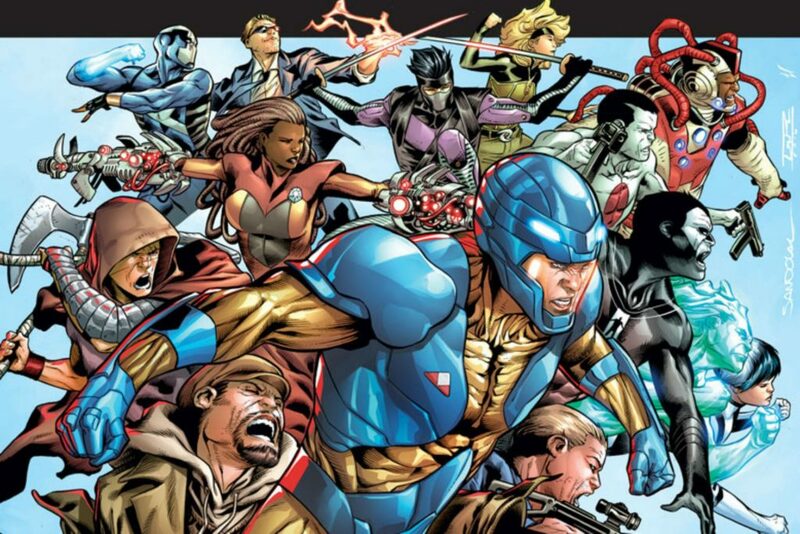 If you’re looking to enjoy superhero comics without the decades of baggage that come with DC and Marvel Comics, I highly recommend you check out the Valiant Universe guide below. IDW has done wonders with licensed content from 80’s and 90’s cartoon favorites like Transformers, Teenage Mutant Ninja Turtles, and GI Joe. You can dive in to my favorite IDW series below with complete guides to Transformers comics (shockingly great) and Teenage Mutant Ninja Turtles. 2000 AD is a mainstay of British Comics, best known for excellent science fiction and Judge Dredd. You can find Comic Book Herald’s complete Judge Dredd comics guide below. With the launch of the CW’s Riverdale, there’s never been a better time to explore the 2015 relaunch of Archie Comics. Below you’ll find a complete guide for new readers wondering how Archie can fit in with modern comics. Reading comics is a blast, so as you get started, remember that this should be fun! If you’re feeling overwhelmed with the amount of material, just know most comic book readers have felt the same at some point, and the best thing you can do is find a starting place above and dive in. If you have questions, suggestions, or comments, do what feels right to you in the comments below. Finally, as always, enjoy the comics! But this article was almost as overwhelming as trying to get into comics. Article assumes that you know what you like, and what you’re looking for with comics. I need a basic beginner reading list of say 15 to 20 comics to read to get started. Comics that are best in their genres, classic stories and good starting points. Hey Dave. What makes Doom Patrol for mature readers only? 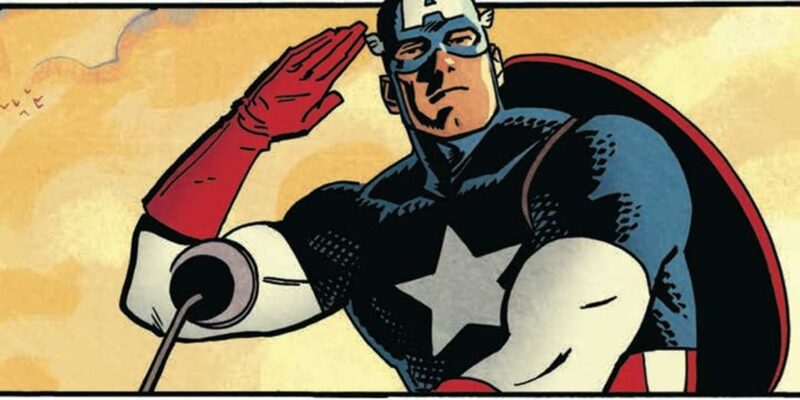 can U plz make a list of beginner friendly TPBs for top marvel and DC characters and teams. not just the characters of the main teams of the big 2.
include other teams and other characters too.like Dr fate and Moon Knight. plz introduce more than 3 TPBs for each team and character.